The MPI system fine-tunes the fuel-to-air mixture in the combustion chamber, delivering ultra-smooth operation from idle to wide-open throttle. 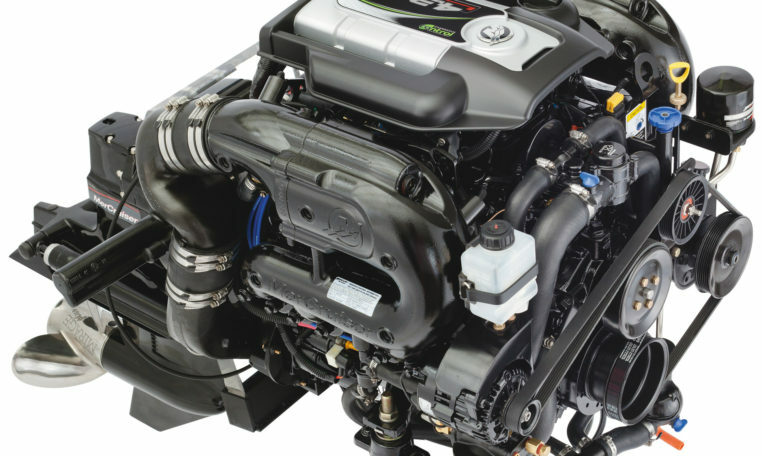 Mercury’s engineers achieved outstanding Noise / Vibration / Harshness (NVH) levels in the 4.3L. Power steering is standard, providing you complete and effortless control.